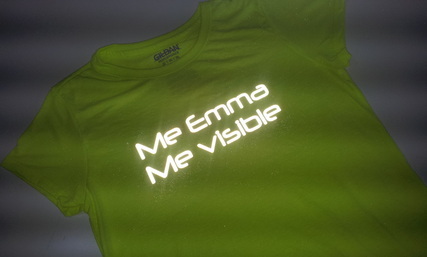 You supply the word/s - we'll create your reflective lettering t-shirt visible with words or logos from up to 300m away. Our shirts are high-quality sports performance grade so are perfect for running, cycling, walking or everyday casual wear. See spec below. Order your MovoBright 360 Degrees Reflector.